Having used up all valid excuses yesterday, It was long run day today. One of my running rules (along with not having more than two rest days in a row) is when not in training for a particular race, I have to continue to do at least one long run (I’ll think I’ll make it 10 miles minimum) every two weeks. My two weeks were up today! Having missed a beautiful day for running yesterday, I was pleased that this morning was still dry and not too cold and I wouldn’t be punished by a cold and rainy run. I set off for my usual London route, running to Hyde Park, running the perimeter of the park plus once around the serpentine before heading home. Not too much tourist pavement rage today although I did have to give a little sign language feedback to a silly woman trying to run me over by driving the wrong way down a one way street when the pedestrian crossing was green! Honestly, I looked out the right way for idiots jumping the lights but coming at me from the wrong way was slightly unexpected! A good run. Since my last race I’ve relaxed for December and am running for enjoyment. I still take my Garmin (well it doesnt count if you can’t log it) but I’m looking at it a lot less and not worrying about pace. Being relaxed and just running to my music is obviously working because todays 10 miles felt relaxed but was only 4 minutes slower than my Great South Run! I’ve recently been sent a Jabra headset. 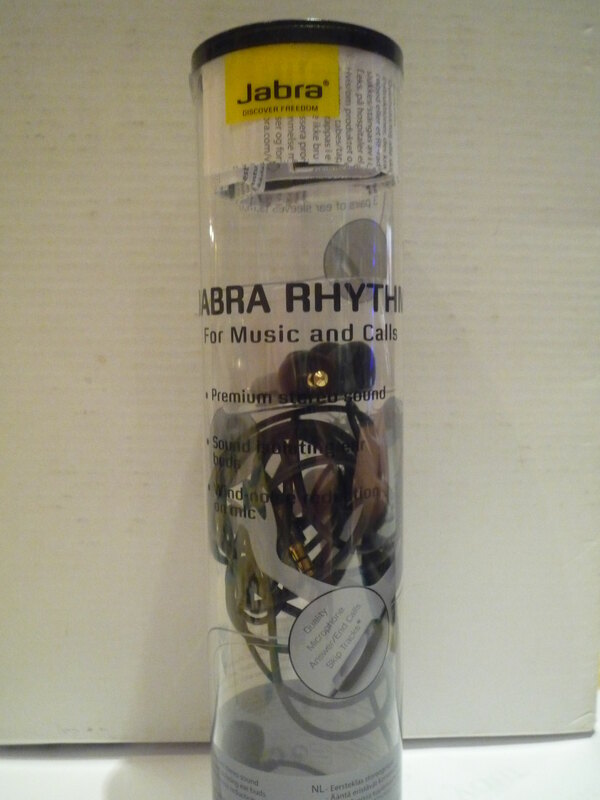 Great stereo sound for music and good for iPhone with its microphone and controls on the cable. I decided to test it out running, once I managed to find it attached to the teenagers iPod under his pillow! I wasn’t sure about it being a serious running headset, having long since abandoned apple earphones (which fall out) for a sports neck-band. These are in-ear but came with 3 sets of ear buds so I worked out which were best for me. The sound is good, the first thing I had to do was turn down the set volume on my iPod! I was impressed that once screwed in hard to my ears they pretty much stayed put and they were a bit more discrete than my bright orange neck band and wont fight with sunglasses or wooly hats (neither required today). They do cut out more external sound than my sports ones, but once aware of this I removed one ear when running where I had to be more cautious of my surroundings. And when I got fed up with music I just had to stuff them in my pocket. The best bit was having controls on the cable to click to skip a bad track (feet dragging) or repeat a good track (I’m flying) or take a phone call. I even by mistake discovered that sliding the control gave me voice feed back of the song name and artist, not that I need it because I’m still stuck in my 80’s running loop from Juneathon. Categories: Product review, running | Tags: head phones, iPhone, iPod, long run, pavement rage, Running | Permalink. Oooh they soumd cool – like the new theme but its making my eyes go wierd when I look at a normal screen!